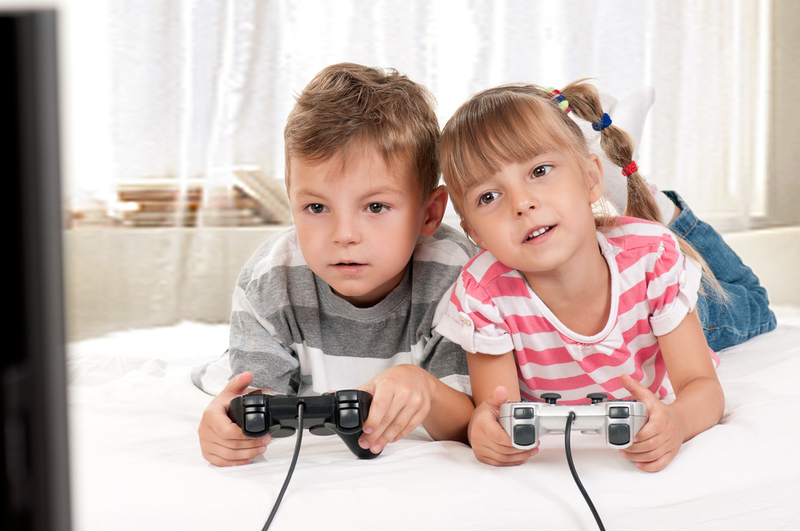 The Huffington Post reports that US Senator Jay Rockefeller introduced a bill to congress that aims to study the impact of violent video games on children. Likely, this is a response to the claims that Adam Lanza played video games, and that video games might have negatively influenced Lanza. "This week, we are all focused on protecting our children. At times like this, we need to take a comprehensive look at all the ways we can keep our kids safe. I have long expressed concern about the impact of the violent content our kids see and interact with every day," Rockefeller stated. Though some evidence implies that video games do not cause violence, hopefully this action — should the bill go through — would result in a greater understanding of where video games fit into the violent parts of our society, if at all. Rockefeller's statements, however, make it seem as if he thinks that those who don't believe that games can have a negative impact on children are being naive. "[People] believe that violent video games are no more dangerous to young minds than classic literature or Saturday morning cartoons. Parents, paediatricians and psychologists know better. These court decisions show we need to do more and explore ways Congress can lay additional groundwork on this issue. This report will be a critical resource in this process. I call on my colleagues to join to me in passing this important legislation quickly," Rockefeller stated. Rockefeller argues that since video game companies aren't taking responsibility to protect our children, it falls on the government and agencies like the FTC and FCC to stand up. It'll be interesting to see what the research concludes, should it happen. I'm a gamer, a parent, studying to become a doctor, and was raised with relatively relaxed access to violent video games. Am I a violent sociopath who is likely to go off and hit someone, let alone go on a mass killing spree? Gods no. I'm sick of ignorant politicians with no experience with the medium making ridiculous claims with no peer-reviewed or substantiated evidence to back them up. Oh, and last I checked, it didn't fall to the video game companies to regulate what children view, nor the FCC or even the damnable government. The responsibility for such action falls squarely on the parents who are supposed to raise these children properly, with boundaries and regulated exposure to certain things, the same parents that idiots like this one are saying should not feel responsible for what their children watch, eat, how they act in public, and hell, even how they act towards their own parents. I think its simple... if people buy a game for their kids, just buy what the AGE RESTRICTION sais they can play... that's why there are such things... Then we cant blame video games when ppls kids are screw ups cos they didn't have access to these violent games... i mean, the amount of unknowing parents that buy their 8yo kids The latest call of duty games every year is astounding... Ive been in an EB where the sales person was like "ma'am, i dont think its appropriate for your child to play this game" and she was like "i can buy my child what i like because im responsible and they are my child"
unfortunately, how many sales men go through the effort to point this out? I really do recommend watching it. An excellent piece, and one that really does capture the problem with the news media in this day and age. "Recent court decisions demonstrate that some people still do not get it,"
I'm confused. Which of us supposedly doesn't get it? ...instead of the person/s who committed the crime. Some cartridges have sharp edges. 1. Pretension that I can detect evil from photographs. 2. Explain how I had a psychic premonition this was going to happen the last time I saw a videogame. 3. Explain how I am an expert in developmental psychology and that gives me the authority to claim that videogames are not only unbeneficial to children but also perfectly damaging. Where others see no link between his playing videogames and developing a mental illness (particularly a genetic one) I can say with absolute certainty that a combination of videogames and flu vaccines are what caused his retardation hence turning him into a psychotic mass murderer. I'd love to ridicule the conservatives more; but of I continue my parody I'm going to end up saying something that would be entirely insensitive to the victims. I want to know whether games are more dangerous than politicians. I don't know any games where you can slaughter innocent children. But I can think of a scene in one of the Star Wars prequels where it happens. That's really because the only people who would actually create such a game, is the one's who think up that scenario in the first place. Demented politicians and sickos found in the American media. It's not the governments or the game creators job to look after kids. It's the parents job. When will politicians (and parents) get that through their heads? O hell yeah they are. When you're not looking the consoles actually strangle your kids with the controller cords. Better watch for that. Also animation in cartoons is so lifelike these days, that the average person can not tell the difference between reality, which is viewed through your eyes, and fiction which is viewed on an clear rectangular, square that is plugged into an powersocket in an wall in your home. Also, don't put forks in powersockets, because there is electricity, that violently surges through your body as it earths itself out. And because of this, possibly violent event occuring. It should be banned.